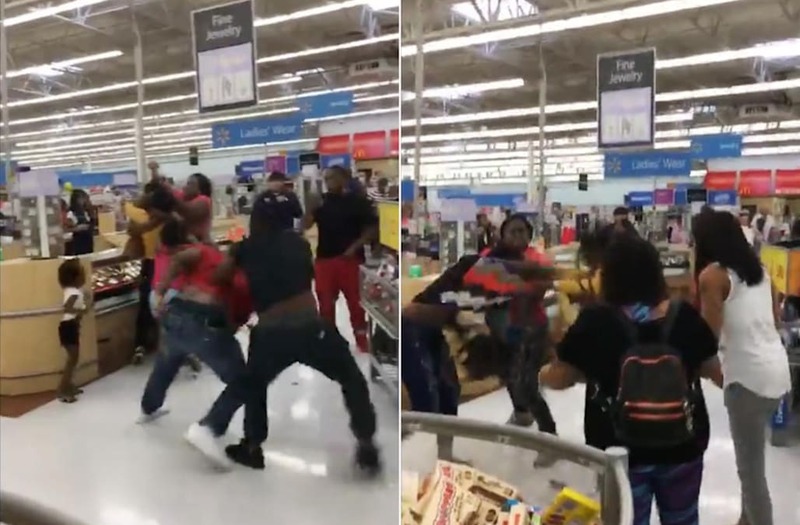 A fight between two couples inside a New Jersey Walmart was so chaotic that young children were left screaming and trying to separate the dueling adults. Cell phone footage posted to the video-sharing site Live Leak shows two men throwing punches at each other near the store's jewelry section as two women fight. In the background, shoppers can be heard yelling for the couples to stop. During the melee two young children run up to the group and try to break them apart. The kids can be heard screaming as Walmart employees and a female onlooker try to calm things down. A Walmart spokesman told NJ.com that the fight happened Saturday at the Union store on Springfield Road. It's not clear what sparked the brawl. "We cannot definitely say why the fight broke out," spokesman Charles Crownson told the outlet. Police were also not called to the scene because the "group scattered so quickly."